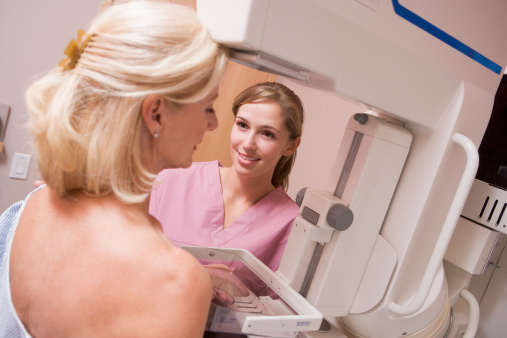 Home » Women's Health » Breast Cancer » Can Stage 4 Breast Cancer Be Beat? Can Stage 4 Breast Cancer Be Beat? Did you know that in the U.S., approximately one in eight women will develop breast cancer at some point in their lives? This year alone, an estimated 231,840 cases of invasive breast cancer and over 60,000 cases of non-invasive breast cancer are expected to be diagnosed. Some would argue that chemotherapy and radiation treatments may not be the best treatment options—chemo drugs are known for killing perfectly healthy cells along with the cancer cells—but there is still a lot of money being thrown at treatments. The average amount of money that is being spent per month for chemotherapy alone is $7,000. This doesn’t take into consideration the cost for medication, therapy, and physician costs.What about when a woman enters stage 4 cancer—is chemotherapy the best treatment option, or are there other ways to treat this type of cancer? Stage 4 breast cancer indicates that the cancer has spread beyond the breast to other parts of the body, such as the bones, lungs, or brain. Also referred to as metastatic breast cancer, stage 4 breast cancer is treatable yet generally incurable.Approximately 20% to 30% of women who have early stages of breast cancer develop stage 4 breast cancer, which claims 40,000 lives each year. Women and men who develop metastatic breast cancer have a median survival rate of two to three years—although people have been known to live up to 16 years while battling stage 4. We know that chemotherapy and radiation often have adverse side effects; so can alternative or complementary breast cancer treatments help stage 4 cancer patients? Let’s take a look at Corrine Bruce’s story. In October 2012, 45-year-old Corrine Bruce received an MRI and was diagnosed with stage 2 breast cancer. The doctors recommended that she receive chemotherapy and radiation, but Corrine opted for a PET scan—she felt that something was not right with the MRI she had taken. The PET scan revealed that she had bone metastases, indicating stage 4 breast cancer. Corrine opted for alternative breast cancer treatment at a facility that conducted natural treatments. In February 2013, Corrine’s CA 15-3 cancer marker was 194 (the normal range is zero to 35). In April of 2013, a mere two months after taking natural treatments, her cancer marker dropped to 39. Exercising in small doses each day is also recommended for those with breast cancer. Exercising will lower the estrogen hormones, which are effective at decreasing the reoccurring risk of breast cancer. Being physically active will also help increase your energy, improve your mood, and reduce stress. Finally, never give up hope! Always know that the best way to beat something is to stay positive and trust those who are helping you. Staying positive can go a long way; if you give up, your body will eventually follow suit. Cherney, K., “Beating Stage 4 Breast Cancer: Is it Possible?” Healthline web site, July 23, 2014; http://www.healthline.com/health/beating-stage-4-breast-cancer-it-possible. “Two-Month Reversal for Stage IV Breast Cancer,” Hope4Cancer Institute Blog web site, April 19, 2013; http://www.hope4cancer.com/information/alternative-breast-cancer-treatments-story.html. “U.S. Breast Cancer Statistics,” Breastcancer.org; http://www.breastcancer.org/symptoms/understand_bc/statistics, last accessed May 29, 2015.